After a less than successful debut, the Real American Heroes return to the big screen reloading with a bigger cast, more explosive special effects, and a story that sees the evil forces of Cobra looking to take over the world yet again. 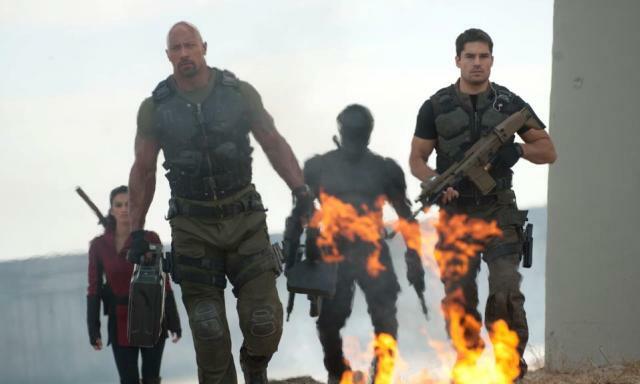 With the addition of The Rock, Bruce Willis, and Adrianne Palicki to the cast, director Jon M. Chu attempts to revitalize a potentially heroic action franchise with G.I. Joe: Retaliation. With a successful mission to recover nuclear warheads from some anonymous terrorists completed, the G.I. Joe crew looks to get some rest and recovery time, but what they don't expect is to be attacked by an unknown force and the entire crew is presumed gone forever. Of course, there are a few survivors otherwise this would be a really short movie and Cobra would take over control of the world. The now rogue team of soldiers looks to regroup, find out who was responsible for the betrayal, and launch a counter attack as soon as they can. Going into any more detail regarding the rest of the story would give away some of the twists and turns so I'll leave it there and we can talk about what did and did not work with this movie. 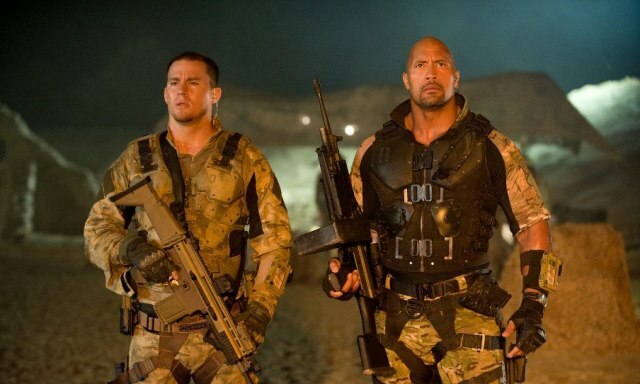 What worked was adding Dwayne Johnson and Adrianne Palicki to the cast. What didn't work was just about everything else. You definitely want to go into this movie with lowered expectations and recalling the low bar set by the first movie. Do that and you just might have a good time with this one. There are a few really good action sequences, but for the most part, Chu shows his inexperience in putting together a movie of this scale and expectation. Having no dance numbers to work with like in his Step Up movies or musical numbers like in his Justin Bieber: Never Say Never feature film documentary, the director was over matched by what this movie should have been. 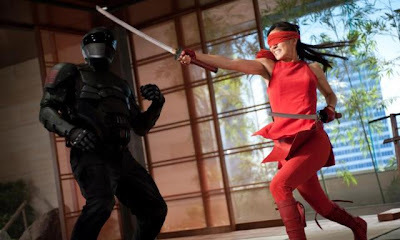 Action sequences were too chopped up and hard to follow and whenever the actors were asked to talk, the movie quickly became unintentional comedy. Its a shame the people behind this movie couldn't find a more experienced director as you get the idea that there is actually a decent movie in there somewhere. As I mentioned before, you should go into this movie with lowered expectations and prepare yourself to just kick back with a bucket of popcorn and enjoy a few big explosions, a high flying mountaintop action sequence, and...well not much else. Actually, there is one more thing about G.I. 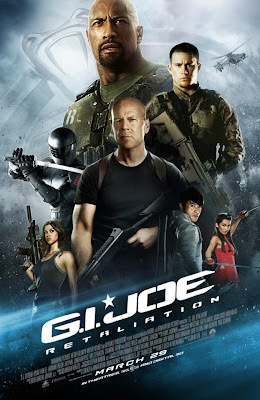 Joe: Retaliation that male viewers are guaranteed to enjoy.